There is something for every type of rider in the presentation of the 2014 Giro d’Italia route. There are 6 flat finishers for the sprinters, 9 uphill finishers and a third week packed with exciting and dramatic mountain stages. As you can see from the graphic above, the Giro will start in Northern Ireland with a flat 21.7 km Team Time Trial. This stage will settle any nerves and ease riders into the Grand Tour. The pressure will be on the GC contender teams not to drop any major chunks of time at the beginning of the race putting them under pressure to gain time and expend energy in hill top stages 8 and 9. 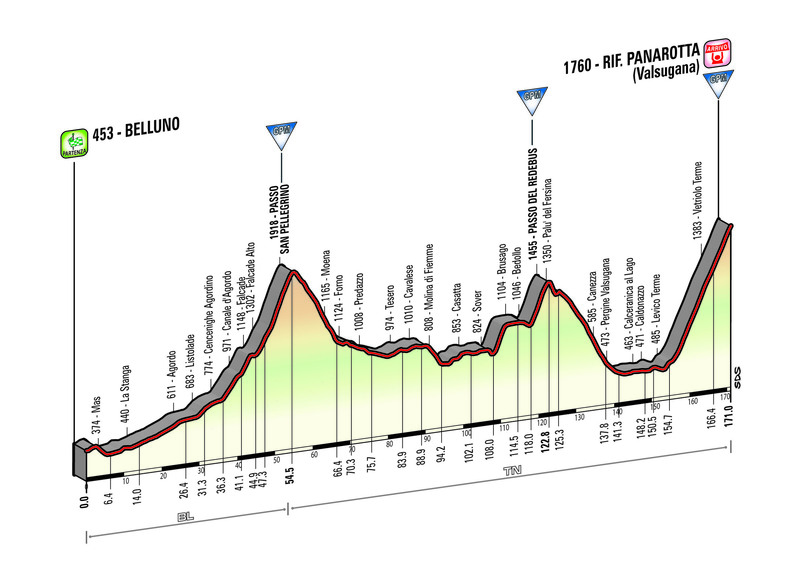 For us, the most exciting part of the Giro will be the last week with the high mountains in stages 16, 18 19 and 20. 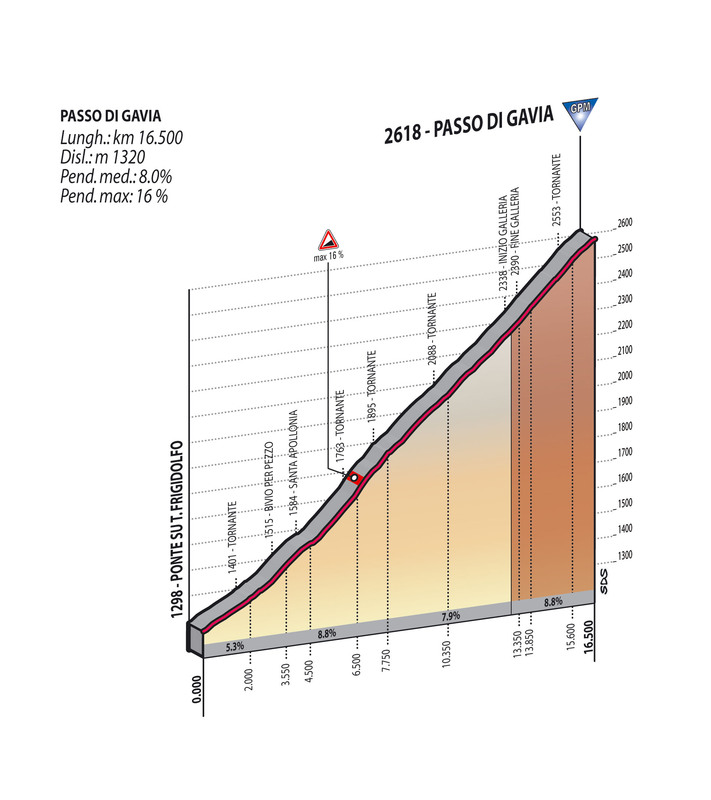 Stage 16 delivers the Gavia, Stelvio. 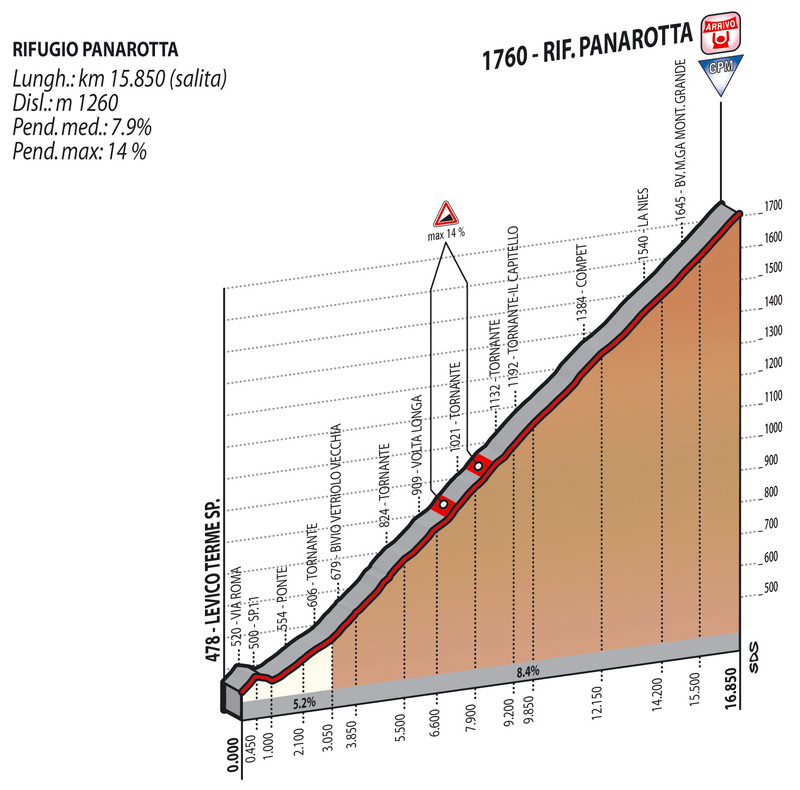 Stage 18 also has three mountains with a hill top finish on the Rifugio Panarotta. A 16.8 kilometre ramp with the majority averaging 8.4% gradient. 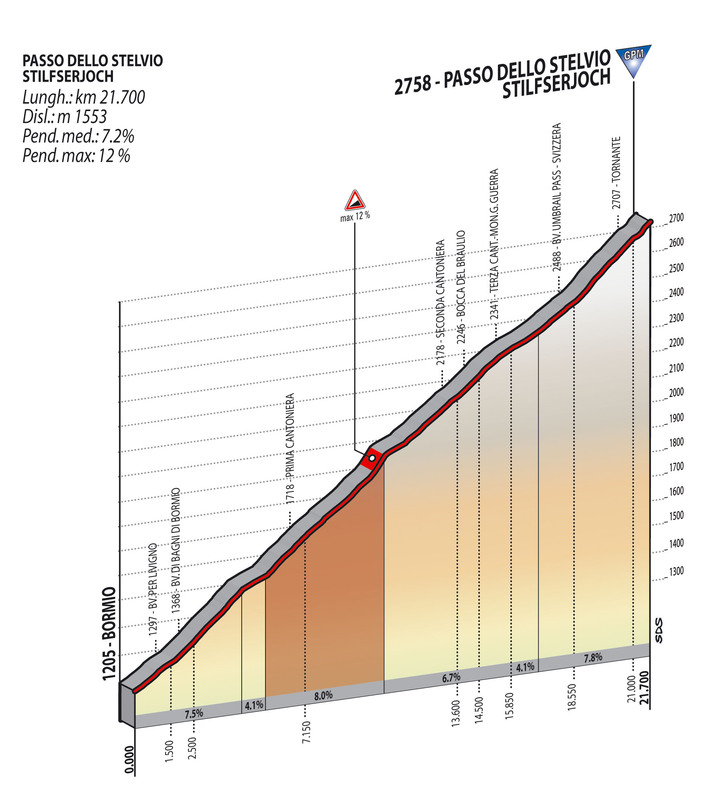 Stage 19 offers a 26.85 kilometre mountain Individual Time Trial. 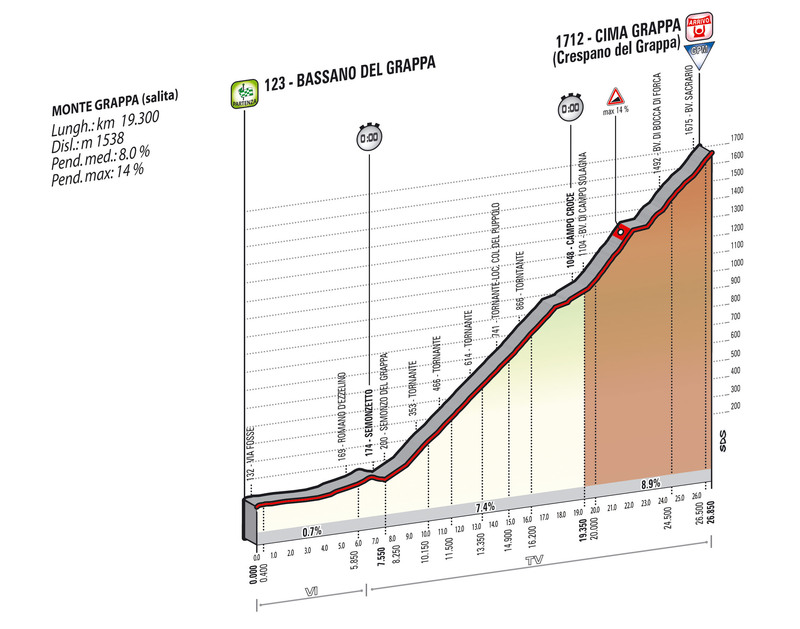 All GC contenders will be exposed as they try and turn a fast gear from Bassano del Grappa to Cima Grappa. 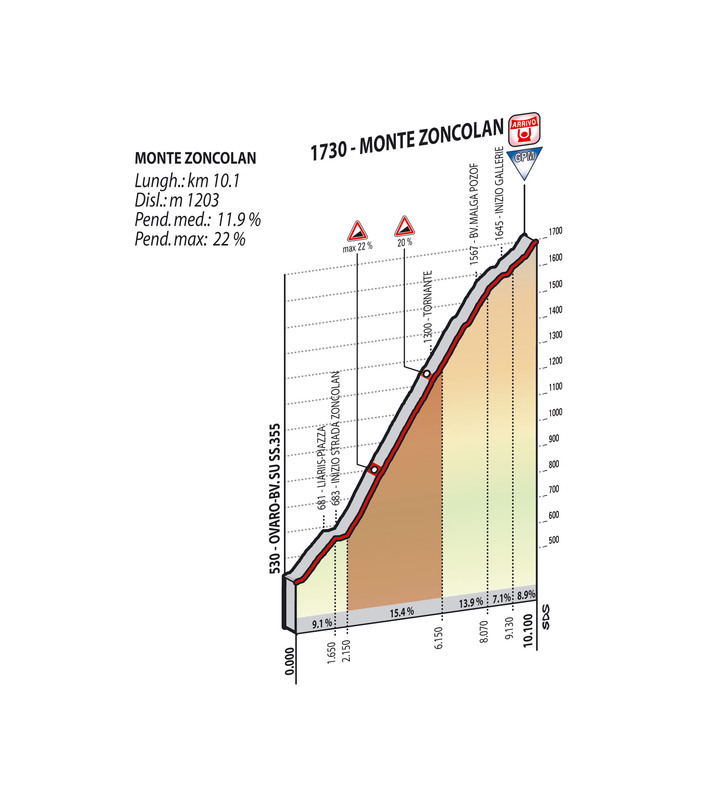 Stage 20 is all about the return of the Monte Zoncolan ramp. An extreme finish. 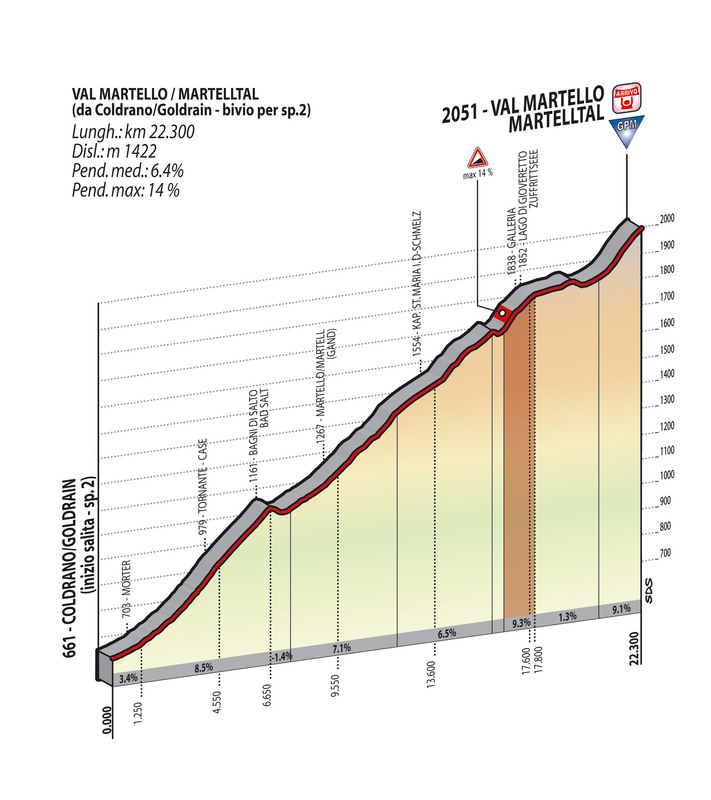 It is a sharp 10 kilometre climb with 20% and 22% gradients in parts. If any GC contender has lost time in the previous stages, this will be the opportunity to gain some courageous minutes and seconds. 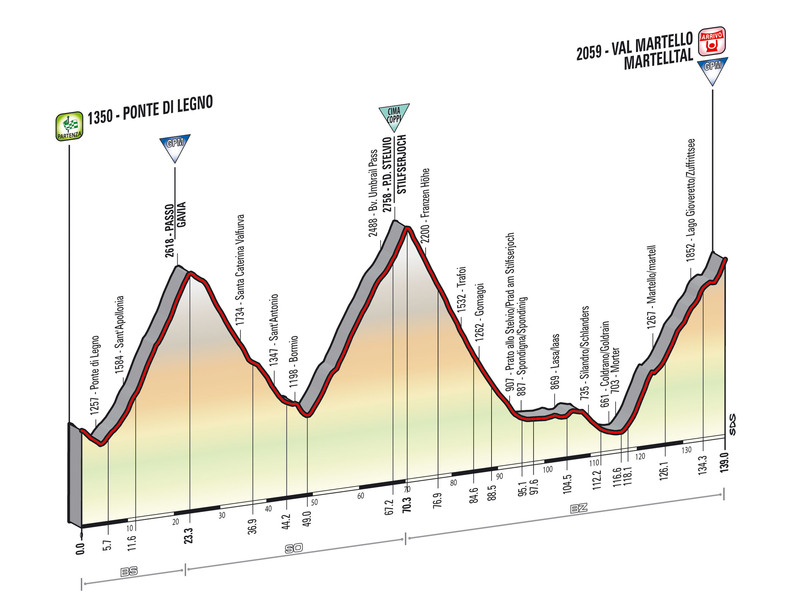 The route presented for the 2014 Giro d’Italia promises much. For some it will be the ‘Fight for Pink’ and for others it will be just a fight to survive.